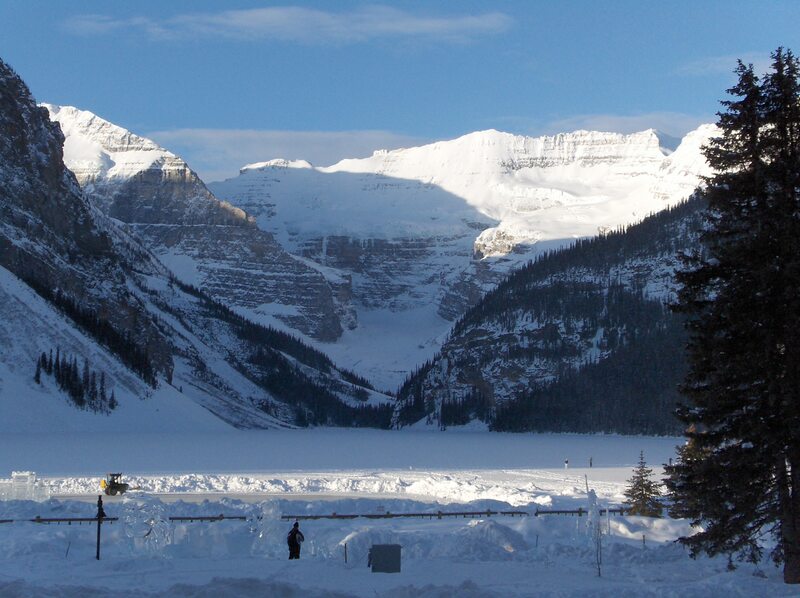 So, Lake Louise is probably not the best place to get away from it all and disappear. 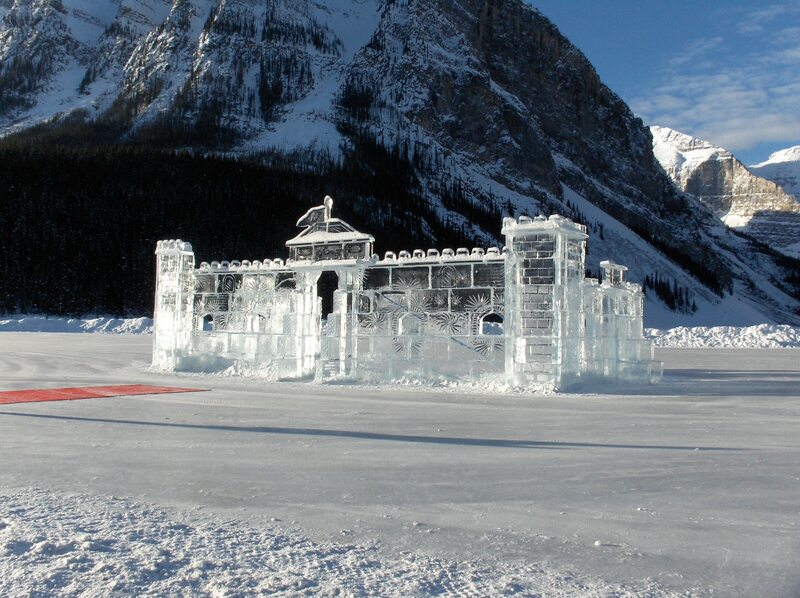 After all, Banff is probably the most well-known park in Canada and that classic shot of the lake, tucked at the foot of the Victoria Glacier and nestled between the mountains, is one of the most famous Canadian travel shots of all time. And yet, when I travelled there in February 2009 – over the Family Day long weekend, no less, when every hotel was booked to the max – I still managed to feel isolated from the world. In a very, very good way. 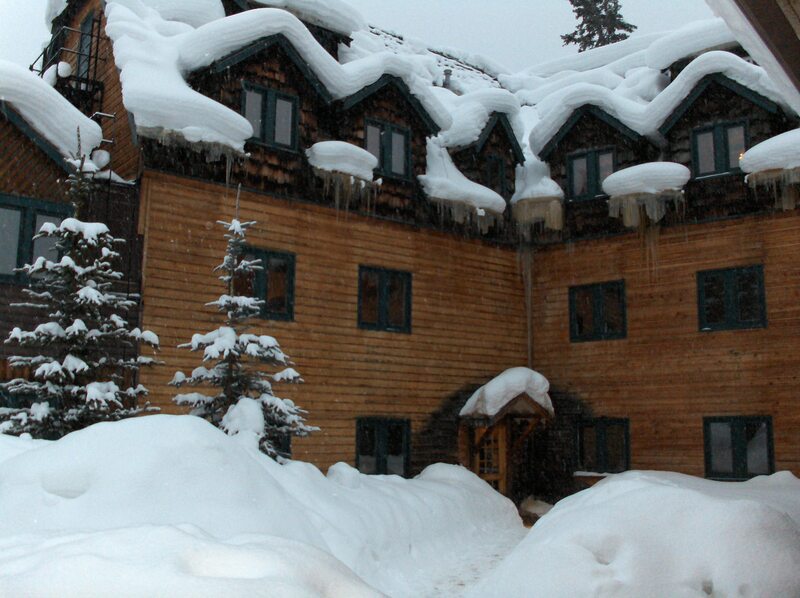 We opted not to stay at the massive Fairmont Chateau Lake Louise, and instead booked in at the Deer Lodge Hotel. I do admit that the decision was more financially based than a conscious desire to escape the crowds, but in the end, for pure atmosphere, it was a perfect choice. The Deer Lodge is rustic, like an oversized log cabin, with creaky floors and paper-thin walls and a dark, cozy feel throughout. Our room had no television set, which meant we spent our evenings curled up by the fireplace in the common room, reading and people-watching, instead of being sucked into another Family Guy marathon. Because of the long weekend, and given the sheer size of the nearby Fairmont, I had expected the rink to be overrun by skaters at all hours. Instead, there were some early mornings where we were the only ones on the lake, the crisp sounds of our skates magnified in the quiet. And while the afternoons did bring more people, most visitors were off tackling the ski hills, leaving the rink to just a handful of us. We spent entire days like that out on the ice, gliding for hours, breaking only for meals and hot chocolate breaks. Come nightfall, our feet and calves screaming at us, we soaked in the Deer Lodge’s rooftop hot tub – by far the highlight of the hotel. With plastic cups of Okanagan wine in hand, views of star-filled skies and mountain silhouettes, and the occasional tub mates to keep us company (including a lovely family who actually convinced me to try Alberta skiing… next time, I told them), I had never felt more relaxed or more revived.